I’ve been reading the Harry Potter series of books to my daughter as a bedtime story. It’s been over a year now, and we’re still only on book six! But while I read a few pages to her in the evenings, it strikes me that Dumbledore is almost certainly the type of manager I’d like to be. I may not quite have Dumbledore’s bohemian charm, but I can definitely study his techniques. Dumbledore was a complicated character: funny, serious, forgetful, scheming, inspiring, and aloof. I notice how, over time, all of these attributes combine to make him a compelling person and the kind of leader you want to see in an organization. In book four, Dumbledore stands up before the crowd and announces the Triwizard Tournament. He talks about the value of international cooperation, of the need for Hogwarts students to collaborate with wizards in other countries. Yet at the same time, he doesn’t “pair students up” or assign designated buddies. Students from different schools are brought into the same area and placed into the same social events – but with no assigned duties. This is interesting. Most management lessons enforce detail-oriented activity. You’re always being challenged to maintain task lists, project backlogs, help break down big things into smaller things. But this kind of activity works well for people who don’t understand the vision, and for people who need guidance to focus on their work. Dumbledore was clearly encouraging people to learn to take the initiative, to hear his ideas and find their own ways of implementing them. The risk of this approach is that many people won’t. In fact, there were lots of students who disagreed with Dumbledore’s methods and goals. Yet the free, open strategy he pursued made it clear which students were part of the team and which weren’t. 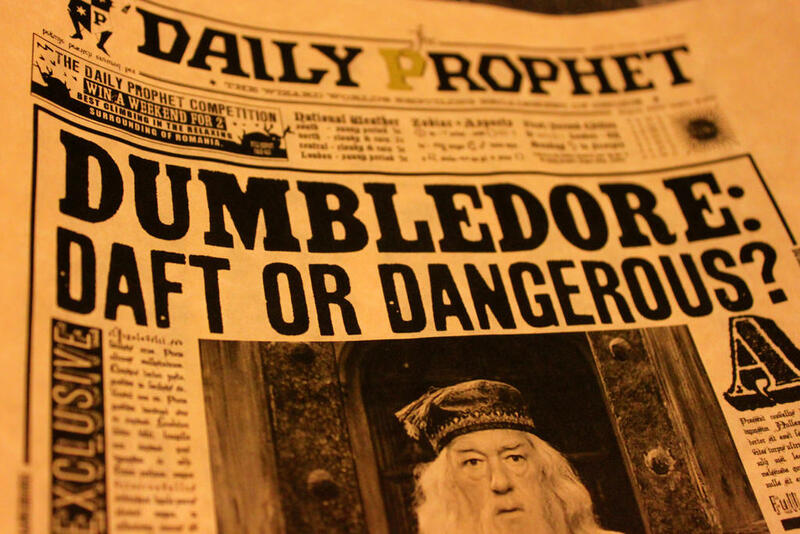 If there’s one thing you can say about Dumbledore – he tolerated a lot of inappropriate behavior from students. He let people try things that were in no way safe or sensible. Consider the second book, when Hermione Granger was given the “Time Turner,” a device so phenomenally powerful the Ministry of Magic kept it locked up. Anyone reading the books will remember this example offhand. Some fans consider this a huge plothole – “Why didn’t Dumbledore use the time turner to save lives during Voldemort’s attacks?” But plot points aside, this part of the story shows that Dumbledore is demonstrating exceptional trust in a student, based upon her incredible promise and talent. Consider it that way: if you want to have the best team, if you really want your team to dazzle the world, you need to be willing to support and encourage them. Often, this support will require bending the rules. Dumbledore has clearly spent ages discovering how to tell the difference between safe and unsafe risks; and he often praises people for succeeding in risky endeavors publicly while criticizing them privately. This is entirely appropriate when you view yourself as a coach or a mentor. When Buckbeak was about to be killed and only Hermione could save him, Dumbledore didn’t explain the task at all – he gave her a goal, and knew that she had learned well the risks of the device she was entrusted with. This is a regular pattern. Dumbledore cultivates a broad group of people and gives them each the encouragement (and corrections) that they need. All the students at Hogwarts knew that Dumbledore was prone to giving odd, curious, interesting speeches. He always revealed some interesting hint, for example, about the Philosopher’s stone, or about classes, or about the various mysteries at school. He would reveal information through the press, through speeches at dinners and at formal occasions, and through unusual requests of the students and staff. At the same time, Dumbledore always had a kind word for someone who was interested in learning more. He kept information available for students, and answered their questions honestly (if sometimes incompletely). He could have easily crushed an inquisitive young mind with a critical remark, but he didn’t. Many of you will notice that this attitude helped to separate those curious minds from the uncurious ones. Dumbledore knew that Malfoy didn’t care about the Philosopher’s stone, but when he discovered Harry with the Mirror of Erised, he helped Harry learn about it, knowledge that would eventually help him to keep the stone safe from Voldemort. I always found it quite curious how Dumbledore granted so many extra points to Gryffindor at the end of book one. There was absolutely no need to give Harry, Ron, and Hermione extra awards; they already knew how amazing it was that they had defeated Quirrell/Voldemort. 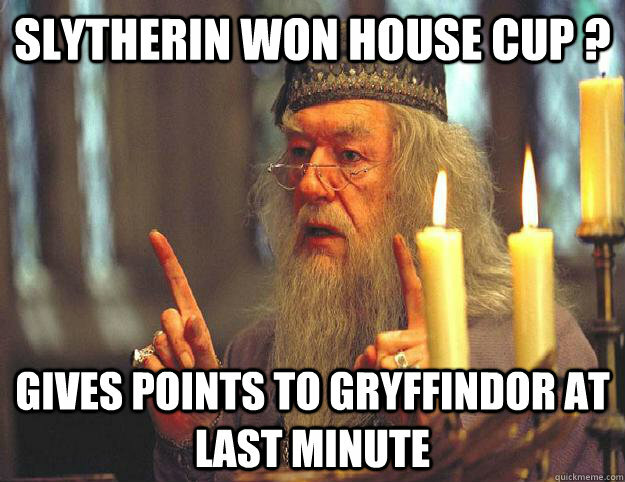 Why make them win the house cup as well? Yet Dumbledore used the opportunity to reward someone else – Neville – by granting him the final points that won Gryffindor the house cup. One could argue that he was just evening the scales after Snape docked points from Gryffindor inappropriately. But you could also look at this as a way of taking the raw potential in Neville Longbottom – who was still a forlorn, shy character in book one – and setting him on the path to greatness by the end of the series. Dumbledore did something that is very hard as a manager: he knew which of his people needed the boost, and who would react best to it. He delivered an unexpected surprise to Neville, and I think that surprise made all the difference. Over the years, Neville regularly discovered a deep well of inner strength when others thought him weak. Dumbledore provided a fascinating culture at Hogwarts. No one could accuse Professor Snape and Hagrid of having identical management styles. Students always had a range of mentors and teams to choose from, and each of them provided interesting contrasts. For example, let’s consider Minerva McGonagall, the epitome of a tough-but-fair teacher. She brooked no dissent, but never spoke a cruel word to anyone. In her classroom, misbehavior was never tolerated, but when students sought out advice in between classes they knew they could rely on her to balance out the strict tendencies of Argus Filch and Severus Snape. On the contrasting side were the loopy teachers like Hagrid, Trelawney, and Professor Binns (the ghost who never paid attention to students’ boredom). Students with a horrible Potions test to study for could count on easy work in some areas, and their daily lives could balance between the two opposites and avoid burnout. Think about your team: they need some sensible managers, some strict; they need some lenient guidance, and some slack work. Anyone who is placed in the hotseat every single day quickly discovers that they need time off. No manager hires only already proven winners (except maybe the New York Yankees). Dumbledore, interestingly, stocks his school with rejects, outcasts, weirdos, and kooks. He grants “prefect” status to students who clearly aren’t capable of filling the roles, like Malfoy or Ron Weasley. He hires way beyond the boundaries of those who are considered capable of acting as teachers, like Remus Lupin (a werewolf who taught Defense against the Dark Arts), Firenze (a centaur who taught Divination), and others. Yet, although some of these people clearly fail at their tasks, others excel in unexpected ways. In business perfect qualifications often do not translate into success. I have hired many people with fantastic credentials who have turned out to be unproductive; whereas some junior staff right out of college have arrived already capable of taking on senior roles. The art of succeeding in picking people is to constantly challenge everyone to deliver one step beyond their capabilities; to constantly reward them when they succeed, and help them when they fail. 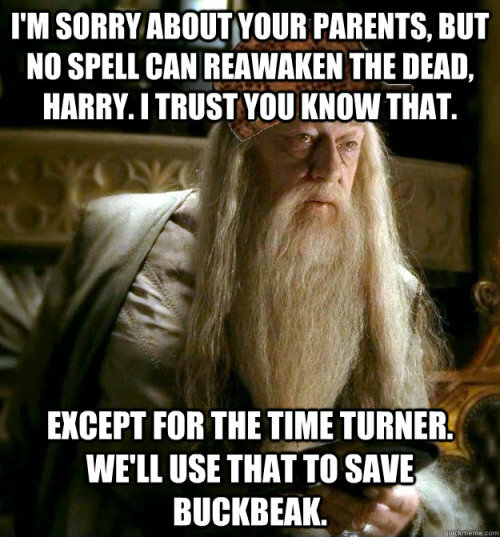 The instant Dumbledore risked becoming too predictable, he changed. He was at once aloof, yet constantly plotting; he was forgetful, but always knew where to pay attention. He was willing to share Every Flavor Beans with Harry, even knowing that he risked getting an “Earwax”; and he was fiercely angry when his anger could shock Petunia Dursley into taking better care of Harry. At the same time, change the attitude of the office. One week hold a party; the next, reorganize the group – not as a punishment – but as a way to allow people to experience different parts of the firm. You’ll be surprised how often a tiny little change, one that may seems pointless at the time, can unleash creativity and help defeat dark wizards.